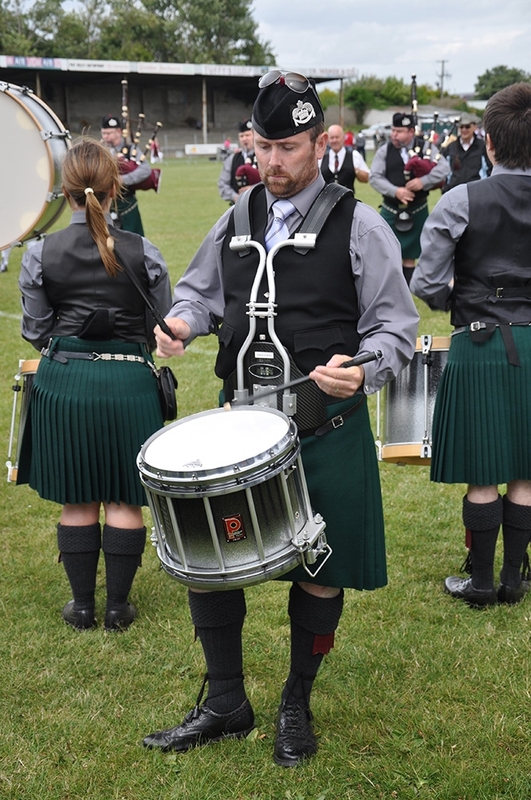 Stephen Creighton is the lead drummer of the current RSPBA Champion of Champions St Laurence O’Toole pipe band from Dublin, Ireland. His honours include to date as a solo drummer 1989 World Junior Champion, 19 World Solo Finals, 5 Senior all Ireland Championships and 3 Ulster Senior Championships. With his corps, Stephen has won five Grade 1 all Ireland drumming prizes, two Champion of Champions titles and one World title. Stephen is married to Amanda and has four children; Stephen Junior, Keith, Glen and Hannah. As a professional drummer and educator; did/do you have a day job and how does this affect you? Yes I have a day job, i'm a qualified cabinet maker, and as a father of 4 children and a leading drummer of one of the top drum corps in the world, it’s important to have a steady income. Unfortunately professional pipe band drummers don’t get paid so we really do it for the love of the music and the desire to win and be the best we can. 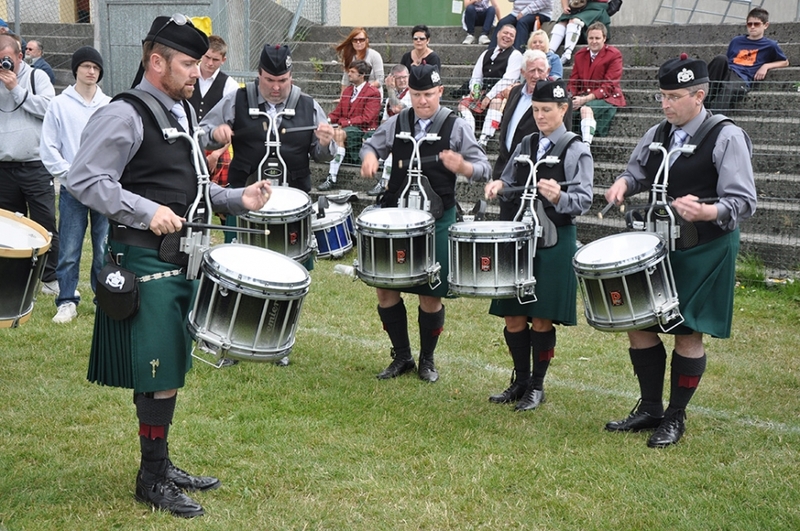 How and when did you get into pipe band drumming? I got started when I was 8 years old in a band called St. Louise’s junior pipe band in Dublin. With my 4 older sisters being drummers in the girls band, I thought I should show them how us men were better. I played with St Joseph’s pipe band from 1983 till 1999 were I won a number of titles including World Grade 2 drumming and pipe band champions 1990 and Diamond Jubilee champions the same year. Then band went from Grade 3 to Grade 1 in four years. After that came the amalgamation of that band with the St Laurence O’Toole pipe band, which is were the real serious stuff kicked off. The band had already won five all Ireland Grade 1 drumming championships, two as band world drumming champions (2006 and 2008), British and Scottish champions and 2008 champion of champions and the best I hope is yet to come. What was it about pipe band drumming that attracts you to it instead of rock or jazz drumming? I don’t know really, maybe coming from a pipe band background, its all i've ever known. Who would you consider your favourite or most influential percussionists, marching or otherwise and why? Well there is a few but the most musical creative drummer is Jim Kilpatrick without a shadow of a doubt. Then there’s Andy Scullion, technically out standing! Which events would you consider ‘defining’ moments in your career and why? There’s a few but winning the biggest drumming prize in the world at the 2006 World Championships (what a day) and winning the all Ireland Drumming Grade 1 the day my father was buried. Finally the band winning its first major last year at Dumbarton. What are your feelings about the future of pipe band drumming in general? I think the future looks great as there are some fantastic young drummers coming through, but from another perspective I think the day of the big sounding drum corps is going if not gone already. It's more about the music, the balance of the band ,the ensemble, some of the drum corps are impossible to separate with the standard just gone through the roof. Of course the middle sections are getting so big, some are bigger than the snare sections, great if you have that luxury, but to be fair to them they work as hard now as the snare section and add so many different dimensions to the band ensemble. Do you have any advice for aspiring drummers out there? Yes, when you have enough rudiments learned, try to put them to music asap to help the understanding of what it is your trying to accomplish. At the end of the day you can spend weeks on a drum pad practicing drum beats, but if you don’t put it to the music quickly and bend it, put dynamics to change it, until it sounds great, it won't mean a thing, because that’s when it counts.